FlowMarker | Degree Controls, Inc. 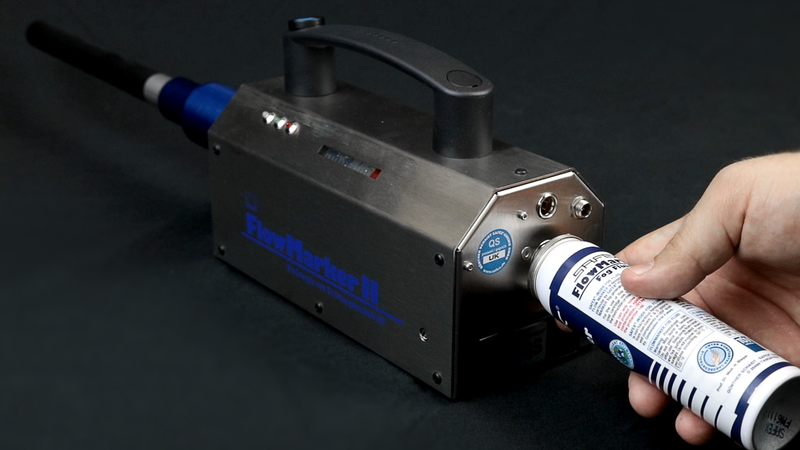 The FlowMarker™ is a portable, lightweight fogger for a wide variety of flow visualization applications. Generating fog at ambient temperature, the FlowMarker™ does not serve as a heat source and does not cause air to rise, but its fog follows the natural undisturbed movements of air. Unlike traditional smoke sticks, the FlowMarker™ fog is nontoxic, germ-free, and does not promote growth of organisms. Only certified pure FlowMarker™ fluid can be used for refill, providing assurance of contamination-free testing. Detect and “mark” air currents, without creating disturbances. Visualize turbulence, directionality, and potential dead spots with the touch of a button. Fog is non-toxic, bacteria-free, and breaks down completely into carbon dioxide and water. Lightweight, small, and portable design allows operation in places that are awkward or hard to reach. 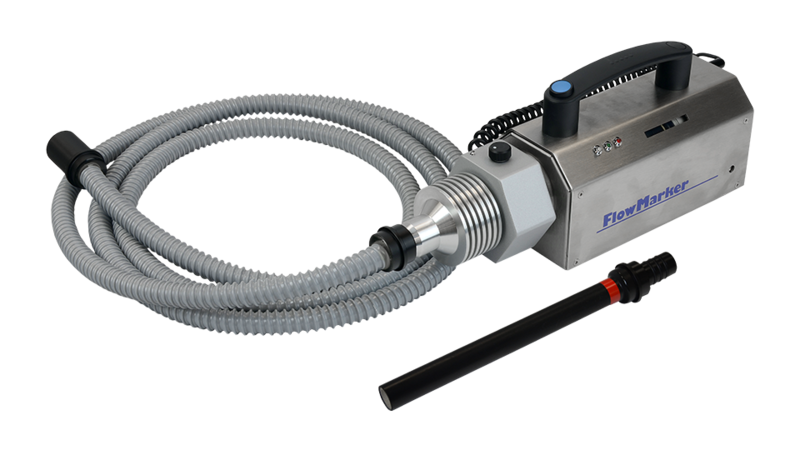 Successfully used in a wide range of demanding applications, including pharmaceutical development, electronics cooling, room ventilation, animal cage environments, clean rooms, and wind tunnels. 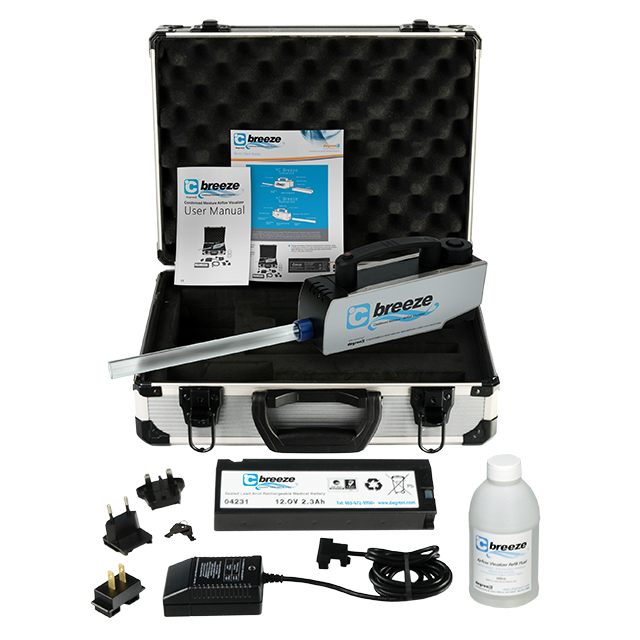 Used in conjunction with degreeC’s precision air velocity sensors, the UAS-series, the Flowmarker II™ is a perfect companion tool to visualize the flow profiles under study. Normal lead-time is 2-3 business days. Some accessories my have longer lead-times.